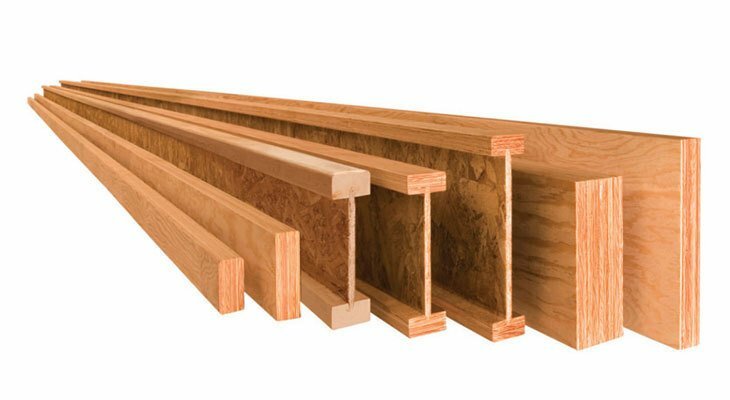 Engineered lumber is a popular choice for floor systems, roofs, beams, headers, and studs. Engineered “I-Joists” are often called by the name of one of the developers of the product. Other popular engineered wood products include LVL for headers and studs, LSL for studs and rim, interior glulam beams and cedar exterior glulam beams. Moore Lumber & Ace Hardware offers floor and roof drawings to your plans and can provide the expected engineering performance on each member. Roseburg engineered wood products are manufactured for use in a variety of applications, from floor and roof construction to use for beams and columns. All of the components are engineered to the industry’s highest standards to support building solid, durable, and high performing framing systems.